Mark Peters, formerly Argonne National Laboratory's associate director for energy and global security, has been named the next director of the Idaho National Laboratory, officially taking over Oct. 1. He will be succeeding John Grossenbacher, who announced in November 2014 that this would be his last year as INL director. Grossenbacher coordinated the Battelle Energy Alliance bid that resulted in BEA being awarded the INL contract in February 2005. Peters is called upon frequently to provide expert testimony to Congress and to advise in formulation of policies for nuclear fuel cycles, nonproliferation and nuclear waste disposal. He is active in leadership positions with the American Nuclear Society and was recently named an ANS Fellow, the highest honor bestowed by the Society. 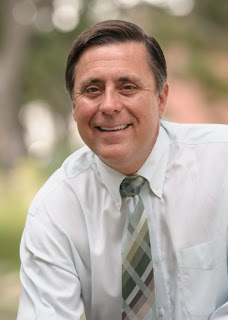 Peters earned his doctorate in geophysical sciences from the University of Chicago and his bachelor's degree in geology from Auburn University. He has also received extensive management and leadership education and training, including completion of the Strategic Laboratory Leadership Program at the University of Chicago Booth School of Business. His full biography is available online at https://www.inl.gov/mark-peters-bio.